It is relatively common knowledge that authors and artists are entitled to copyright protection for original work. What is less well understood is how to identify who owns those rights, and in what circumstances the work can be used without being at risk of legal breach. There are several points where educators may need to consider ownership and the ability to use copyright material. This article looks in brief at the educational purposes exemptions under the Copyright Act 1994 focusing on materials used by teachers when preparing a teaching course. Because the Copyright Act 1994 is under review, the parameters for these exemptions may well change, however a clear understanding of some of the founding principles of the exemptions is a valuable tool. The Copyright Act 1994 (“the Act”) provides a framework for authors and artists to identify a period of statutory monopoly for original work and an opportunity to reap a financial reward through licence or sale of original work during that period. The ability to benefit financially is meant to encourage artists and authors to develop original works. This must be balanced with a public interest in making certain information available to the wider community 1. The Act sets out various scenarios where the balance of public interest means copyright work should be able to be disseminated without risk of legal breach, including exemptions for educational purposes. These exemptions to infringement are not an inherent permission for large scale copy and dissemination of whole bodies of work. Therefore, it is important to work carefully through the legal framework. Copyright does not need to be registered in order to exist. While the Act provides a framework to identify ownership and transfer of copyright, it does not provide for a Register and as such there is no cohesive central repository which records who owns copyright in various works. Some, but not all, work may be listed with Copyright Licensing New Zealand 2, but it is not enough to simply check this resource and assume that anything not listed there is free to use. Copyright is generally owned by the author of an original work, unless it is a commissioned work or the work of an employee for an employer undertaken in the course of employment. Copyright may also be transferred in writing with the agreement of the first owner to another company or other individual 3. A good first point of reference is to look for the © symbol. Proper marking will include a date from which copyright is claimed and the owner of that copyright. Is it published by a company or an individual? A common misunderstanding is that copying of 10% or less of an original work is permitted and does not constitute copyright infringement. This is not correct in New Zealand. The Act makes no mention of 10% and you should not rely upon this formula. There is also no overarching fair use exemption for use of copyright materials. It also does not matter where the material has been found – copyright can still exist regardless of whether the material is a printed publication or found on the internet. If your use does not fit within the educational purposes exemptions, and you do not have permission for the copy, then you are at risk of legal breach. To fall within the educational purposes exemptions under the Act, the person providing the material must be part of an educational establishment or resource supplier as defined under the Act 4. The Act then sets out a series of situations where copyright work can be copied for educational purposes and the calculation of acceptable level of copying for each scenario 5. At a minimum in all circumstances the copying must be done by or on behalf of the person giving the course, and the material must be related to the course of instruction. Where material could fall outside of the educational purposes exemptions, it is important to ensure permission has been obtained from the copyright owner. A common way to secure permission is to obtain a licence. Licences must be negotiated with the copyright owner, or an agent employed by the copyright owner. The fee for the licence should be reasonable for the work and level of copy. While the Copyright Tribunal is available to assist in setting reasonable fees, it will not insist upon a licence where the owner refuses. There are also important differences between a licence scheme for a body of work or group of users, and a series of individual licences which achieves the same end. It is important to be cautious and clear when negotiating the different options 6. In all cases owners of original work are entitled to recognition of their authorship and to integrity in copies that are made – so called “moral rights” 7. When using copies of original work, you should acknowledge your source every time and ensure the copy is accurate. Exemptions are limited to statutorily recognised educators. The material must be linked to a course of study. The Act sets out formulas which limit the information that can be copied. This is not 10%! Sources need to be acknowledged and copies need to be true. 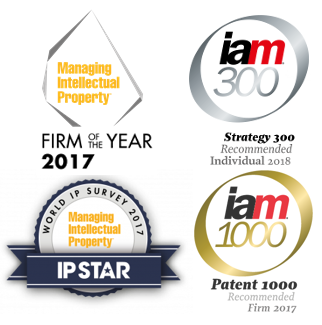 Talk to your IP Advisor today for further help. 3 Copyright Act 1994 section 21. 4 Copyright Act 1994 interpretation of educational establishment references in turn the Education Act 1989 and Private School Conditional Integration Act 1975. 5 Copyright Act 1994 sections 44 to section 49. 6 Copyright Licensing Ltd v University of Auckland  NZCA 12 discusses the limits of the powers of the Copyright Tribunal to become involved in negotiating fees for individual licences and licence schemes. 7 Copyright Act 1994 Part 4. What should you do if your trade mark is used on the internet? As commerce moves away from traditional physical stores and onto the internet, it becomes increasingly difficult to know when the actions of another trader on the world wide web are an actionable breach of your trade mark rights. How do I know if the use infringes my trade mark registration? Is the trade mark the same? Are the goods and services the same? Are there obvious sales in the country in which the trade mark is registered? In some cases, it is quite clear that the trade mark is in use in a way which directly conflicts with your registered trade mark rights and this will probably be your main avenue for attack. But what if the use does not look like it falls within the registration coverage? Fear not, just because the case for trade mark infringement may not be strong does not mean you do not have any grounds for redress. You may still be able to establish a case under fair trading legislation and/or for the tort of passing off. What do I need for fair trading breaches and/or passing off? The rule of thumb for a fair trading breach or passing off is that you have a reputation in a brand which is being adversely and unfairly affected by the activity of another trader. The use must be in the course of commerce. What about if I have rights in New Zealand, but the company using my brand is based somewhere else? It is important to look closely at the use and identify each country where you could say the brand is being used to see if you can choose a country where you have best rights. If a website offers the option to purchase products you should look at the country where the product is packaged and offered for sale. You should also think about whether product can be shipped to New Zealand direct from the seller. Drilling down into the supply chain may help you choose the best jurisdiction in which to take action. The Private International Law (Choice of Law in Tort) Act 2017 summarises many years of case law on the topic of choosing a jurisdiction for tortious action and confirms that the general rule is that the country in which the tort is committed is the country whose laws will apply. For the purposes of passing off, if part of the act is in one country (for example, order received and shipping) and the rest of the act is in another country (goods delivered and released to market) the tort can be pursued in the country in which “the most significant element … of those events occurred”. This Act confirms you no longer need to be eligible to have an action in both countries involved in order to pursue your rights in one country. Do I have to send a formal letter? Laws are constantly being developed to place obligations on internet-based sales platforms to ensure the rights of trade mark owners are recognised and respected. In many cases international sites such as Ebay, YouTube and Alibaba have IP protection clauses which help trade mark owners control potentially infringing use by dealing directly with them. In less straightforward cases, it is likely formal cease and desist correspondence will be necessary. In all cases, your best first step is to review your options with your legal advisor as early as possible. http://ellisterry.com/wp-content/uploads/Transparent-ET-1-300x82.png 0 0 Rachael Koelmeyer http://ellisterry.com/wp-content/uploads/Transparent-ET-1-300x82.png Rachael Koelmeyer2018-11-27 15:14:312018-11-27 15:37:12What should you do if your trade mark is used on the internet? On 30 December 2018, New Zealand will implement a grace period for disclosures by an inventor or applicant made in the year before a patent application is filed. This follows from New Zealand ratifying the Comprehensive and Progressive Agreement for Trans-Pacific Partnership (CPTPP) on 25 October 2018, and the CPTPP being scheduled to enter into force on the same day. This article discusses how the new New Zealand grace period will work. Currently, any public disclosure of an invention could prevent an applicant obtaining a New Zealand patent for that invention. There are only very limited situations in which disclosure can be disregarded (such as being in breach of confidence). This change will align New Zealand with countries like Australia, the United States, and Japan. Many jurisdictions (notably Europe and China) still have limited, or no, grace periods for disclosures. A disclosure before filing a patent application can therefore still be damaging, and should be avoided if possible. (iv) any person with the consent of any person from whom the patentee or nominated person derives title. Which patent applications can use the grace period? A patent application must have a patent date within 1 year of the disclosure. The disclosure must have occurred on or after 30 December 2018 (future Schedule 1AA(4) of the Patents Act 2016). The patent date is the date a complete specification was filed (s 103(1)(a)) or that the PCT application was filed (s 46). The filing date of a provisional specification, or any other priority date, is not the patent date. The provision is not retrospective. Any disclosures that occur before 30 December 2018 are not covered by the grace period. If you wish to take advantage of the grace period, a complete specification must therefore be filed within one year of the disclosure. It may be worth filing a PCT application in the first instance to use the grace period in multiple countries at once. The new provision expressly covers disclosures made by the patentee (or nominated person who will receive the granted patent, if different) (s 9(1)(f)(i)), the inventors (or anyone else the patentee derives title from) (s 9(1)(f)(ii)), and anyone else with consent of these parties (s 9(1)(f)(iii)–(iv)). This seemingly covers anyone directly involved in a patent application. This complements the existing provisions which provide a 1-year grace period for disclosures made unlawfully or in breach of confidence (s 9(1)(a)–(b)). If a third party receives the inventor’s public disclosure, then on-discloses the information they received, would this third party on-disclosure be covered by the grace period? Maybe not. A strict reading of the provision would suggest third party on-disclosures are only covered if the third party has the consent of the patentee or inventor. How this works in practice is unclear. Can an unknown party in unknown circumstances receive consent? Does the act of making the information available to the public give implied consent to the public generally for on-disclosure? Would a copyright notice that the information is not to be copied be equivalent to an express lack of consent? For example, a common scenario would be when an inventor discloses their invention publicly at a conference, and a third party (unknown to the inventor) then publishes a summary of the invention. It is unclear if the third party summary is covered by the grace period or whether it would be prior art. This exposes a potential hole. Some disclosures may not have consent (and therefore cannot use the new s 9(1)(f) grace period) but are not in confidence or obtained unlawfully (and therefore cannot use the existing s 9(1)(a)–(b) grace period). These disclosures will therefore still be prior art. Whether third party on-disclosures are covered by the grace period may need to be settled by the courts. Interestingly, the underlying text of the treaty contains no reference to consent being required for the grace period to apply. Instead, the treaty requires that disclosures by “a person who obtained the information directly or indirectly from the patent applicant” must be disregarded (Trans-Pacific Partnership Agreement art 18.38). Depending on the interpretation by the courts, it may therefore be that New Zealand law is not fully in compliance with this part of the treaty. In the meantime, to mitigate the potential risk of third party on-disclosure, patent applications should be filed as soon as possible after a public disclosure. How does this compare with Australia? Australia has had a 1-year grace period since 2002. The Australian grace period provision is worded differently. The Australian grace period covers information made publicly available by or with the consent of an inventor or applicant (Patents Act 1990 (AU) s 24(1)(b)). The Australian provision therefore focuses on the information disclosed, rather than who made the disclosure. This side-steps the issue of whether a third party needs consent for the grace period to apply to on-disclosure, as long as the initial disclosure was made with consent. It appears the New Zealand provision was based on the Australian provision. But the change in wording to focus on the person disclosing rather than the information disclosed may be meaningful. It may suggest an intention from Parliament that unconsented third party on-disclosures are not covered by the grace period, and therefore should still be usable as prior art. It remains to be seen how this is applied by the courts in practice.